Have you completed your bachelor's degree and are now wondering what's next? Does simply working in your field not completely fulfill your plans for your life? Maybe you should consider pursuing your doctorate degree to set yourself apart from other individuals in your line of work. In just a short amount of time, you can be adding to the list of educational degrees you have obtained. If obtaining a doctorate degree is something that appeals to you, then you may want to begin by learning all you can about this educational course of action. 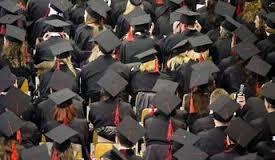 A graduate degree program generally refers to any degree that comes after a bachelor's degree. Therefore, a master's degree, an MD, and a PhD would be considered graduate work. Typically, a doctorate degree will focus on a specific area of study within your bachelor's degree that will allow you to be more of an expert in your field. For instance, if you have your bachelor's degree in education, you could choose to pursue your graduate degree in curriculum and instruction or administration. Should you decide that you want to follow a PhD degree program, then you will need to plan for approximately three years of educational work before completion. If your bachelor's degree is related to the medical field, then graduate work towards a MD will be the best educational path for you. For example, if you are working to become a dentist then you will want to focus your graduate studies on becoming a doctor of dentistry. Additionally, there are graduate programs related to law, accounting, economics, human resources, and many others. As with any other degree program, it is a good idea to make sure the learning institution you plan to attend is accredited. This means that your diploma will add to your professional value in the career world and that potential employers will realize that you have had adequate training in your field.